Sweet Childhood Dreams Are Made of These! 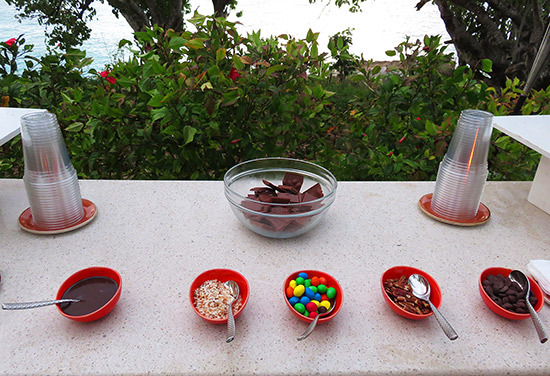 S'Mores are not currently available at Malliouhana. This page will be updated if/when they become available again. 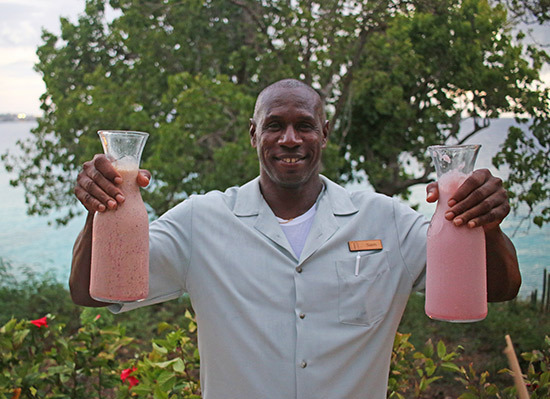 High on a bluff overlooking the turquoise sea, Malliouhana's setting is enchanting. Secret coves lie below, hidden between cliff-sides. From above, the dazzling ocean views take your breath away. 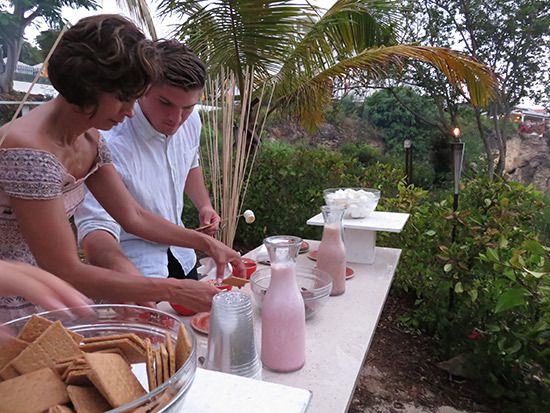 It is an intimate property that has forever been synonymous with quiet, calm and classic Caribbean luxury. 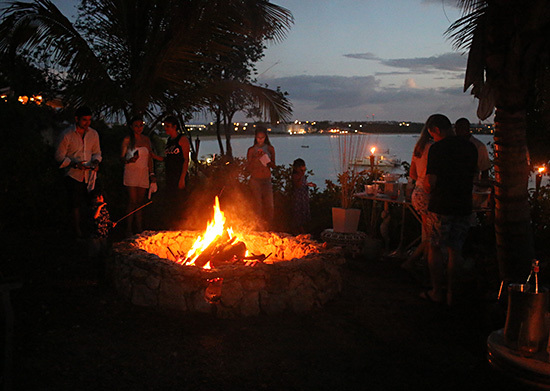 That in mind, it is not the first spot you think of when you hear the word "bonfire." 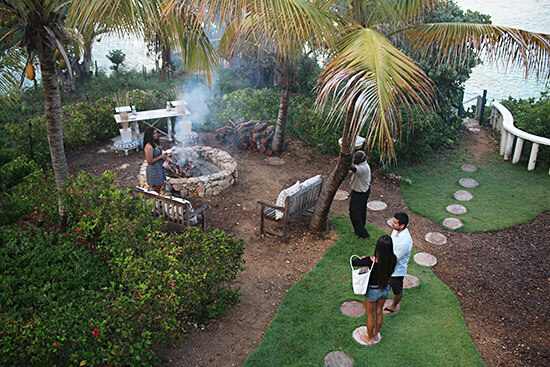 No, bonfires at Malliouhana are far from the "beach bonfires" that we have all gathered around on many a summer night. Replace on-the-beach with sea view. 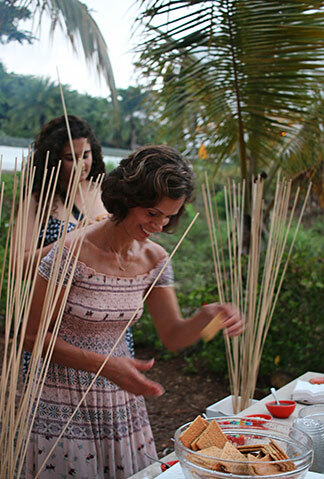 Subtract sand on sticky skin and add elegance and calm. That is the setting for a bonfire at Malliouhana. 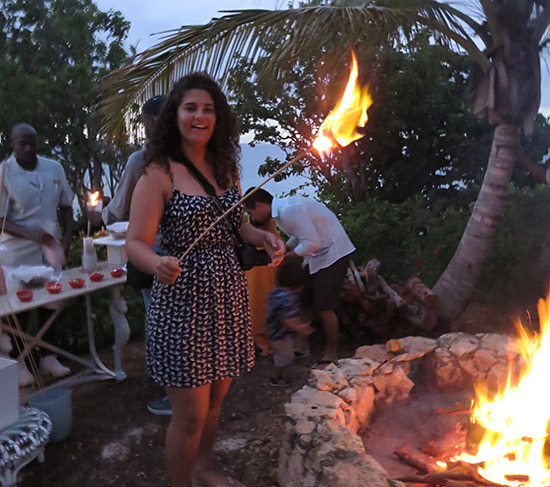 Malliouhana's bonfire sits on the perch that separates Meads Bay from Long Bay. 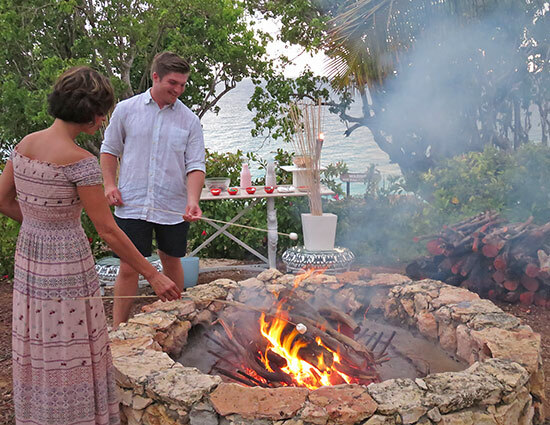 Surrounded by palm trees and a few steps down to a secret beach, they have carved out a tropical bonfire escape. You enter the circle of palm trees and are whisked into another world. 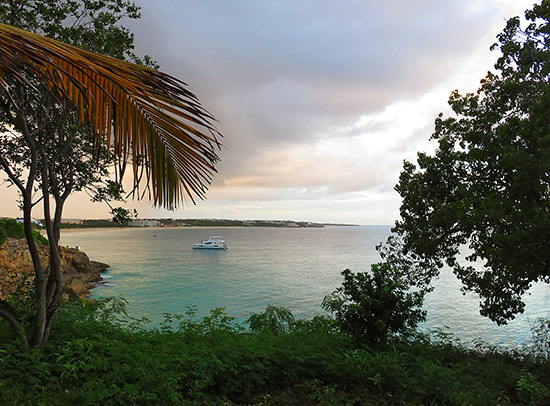 The smell and sound of wood crackling, the palms swaying around you and with a window to Meads Bay, it is almost surreal. A whimsical feeling washes over you as you pop your marshmallow (or 3!) onto a long, fine pointed stick. I wasn't alone in that light-hearted, jovial feeling. Everyone was swept up in the moment. 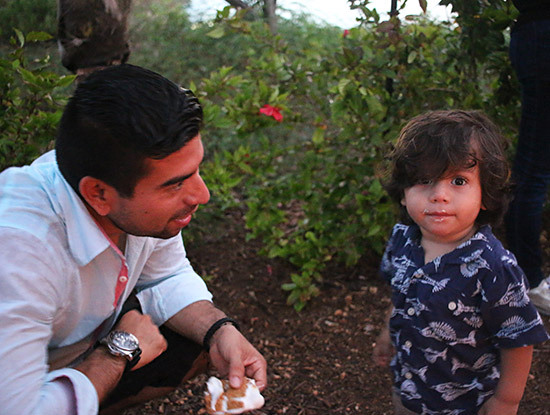 As the marshmallows browned, we really started to get into it. 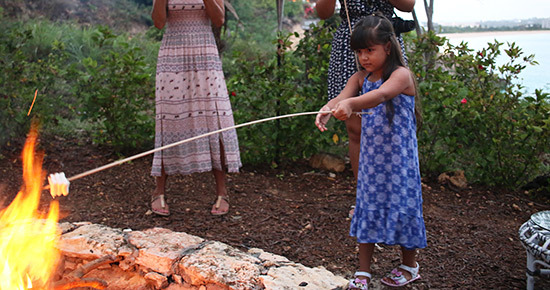 "Who can cook the ideal marshmallow" was the name of the game! 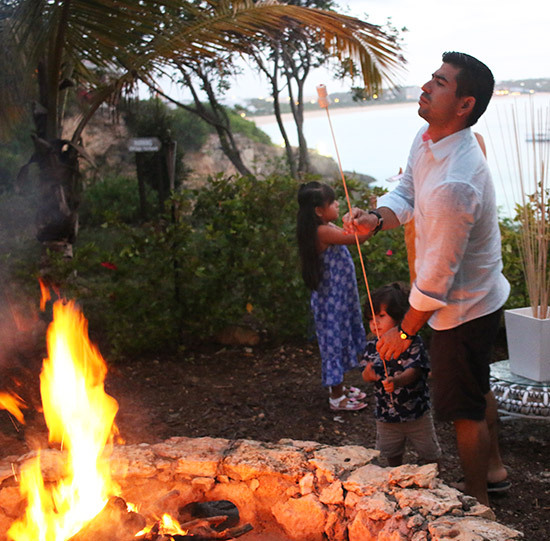 As we all know, roasting marshmallows is about finding that perfect balance. Under-cooked, hard and cold won't do. Our Friend Louise Lost This Round of The Game! Striking that "slightly-charred on the outside" and "gooey on the inside" in-between is key! Once the balance is struck? 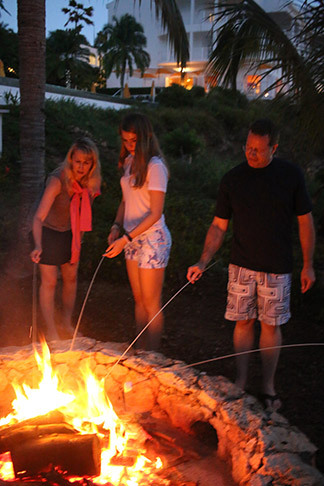 It's time to turn that marshmallow into a gourmet s'more, Malliouhana-style! S'more "accoutrements" (Ha! Ha!) start with slabs of dark chocolate and Graham crackers (naturally). It is a decadent, sweet heaven! 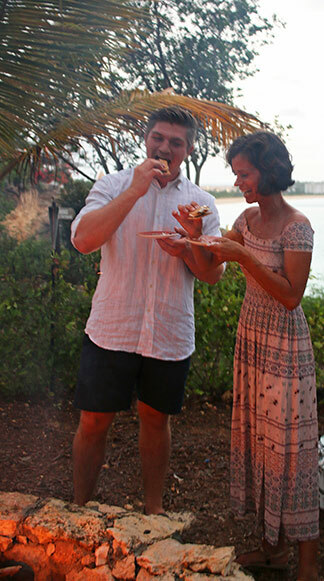 The best part for those of us who take our s'mores seriously? 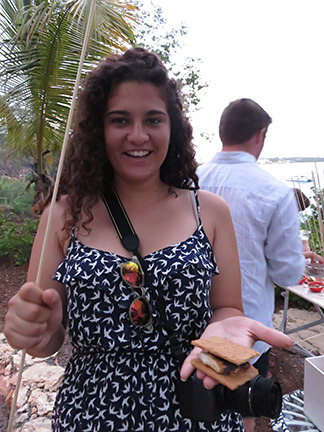 Malliouhana carries s'more-friendly marshmallows. They offer the classic, puffy marshmallow (for the traditionalists, I suppose! ), and they also have a marshmallow that none of us had seen before. S'more and smoothie polished off, what next? Was it the rush of sugar? The mesmerizing fire, blazing in the night sky? 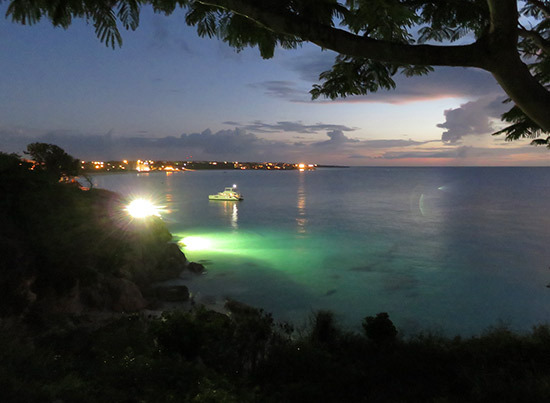 The stars above, the sea below and the lights of Meads Bay dancing in the distance? Or, perhaps it was because it brought out the kid in us. Somehow the novelty of it stirred up thoughts of childhood days, tickling a warm spot in our memory. Contagious and infectious, we were all beaming! Before the night came to a close and we all said our good-bye's, Sam came over, prepared with lemon-chilled towels to refresh before sending us off into the night. A final thoughtful touch on a flawless evening! 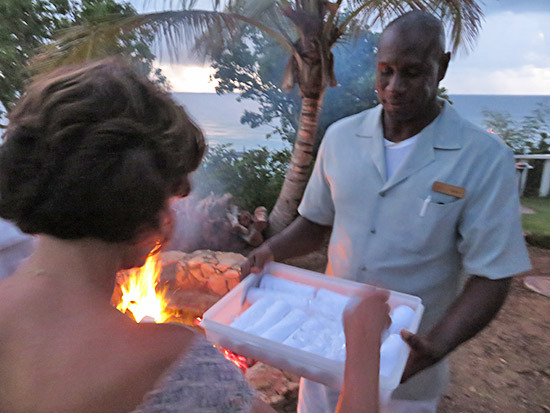 From the setting, to the gourmet s'mores, to even the chilled towels, Malliouhana delivers yet another unique and elegant way to enjoy a Caribbean evening. 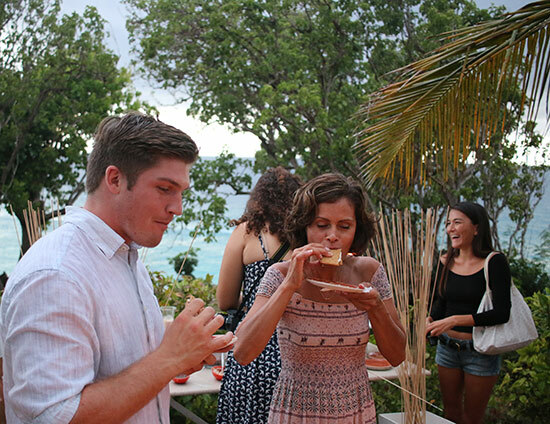 S'Mores at Malliouhana can be booked for $50/person (min. 2 people). 24 hour advance notice is required. To book, call: 264-497-6111.